and our daughter's birthday which is coming up next week. Love red? You're in good company. 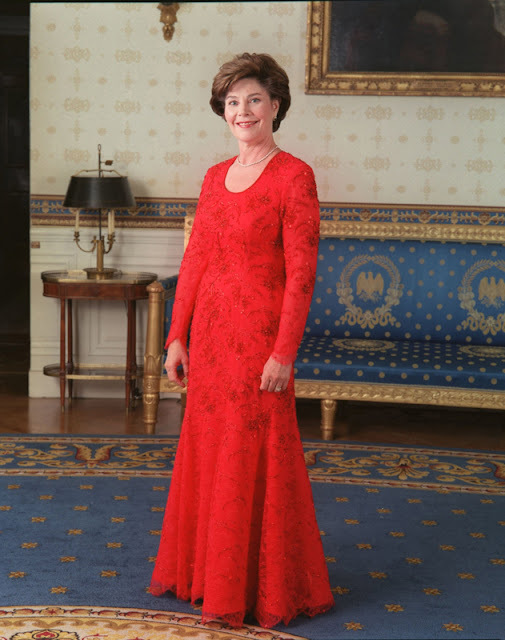 First Ladies love red --- regardless of party affiliation. Michelle Obama via Huffington Post. 2013 inauguration gown by Jason Wu. 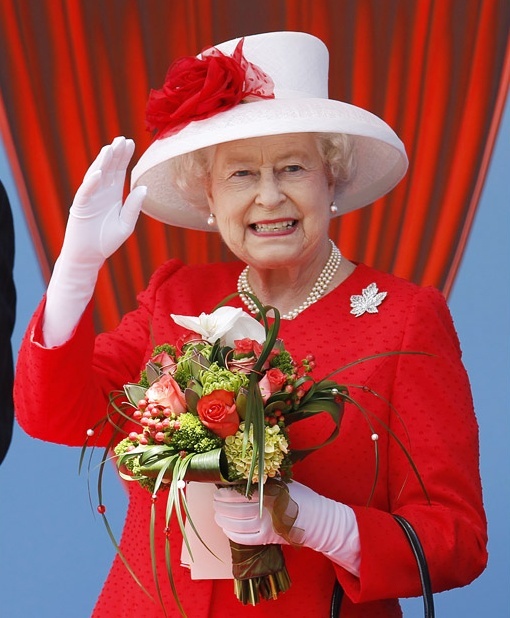 The Queen in Ottawa on Canada Day 2010 wearing The Maple Leaf Brooch. Carla Nice, Alaska's reigning Queen of Real Estate and very good friend of my sister, Patty. for that matter maybe within a thousand miles. Audi should pay her to drive it. 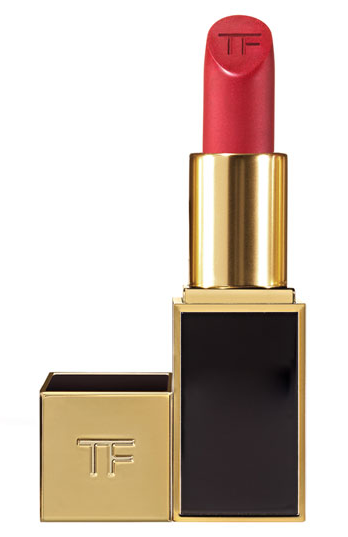 Tom Ford's Private Blend Lipstick for Nordstrom. Fabulous red, not too orange, great packaging. Not so hot about its name, Slander at Nordstrom. One can dream. Delman "Bliss." I love this shoe but not the price. Another designer collaboration with Target. 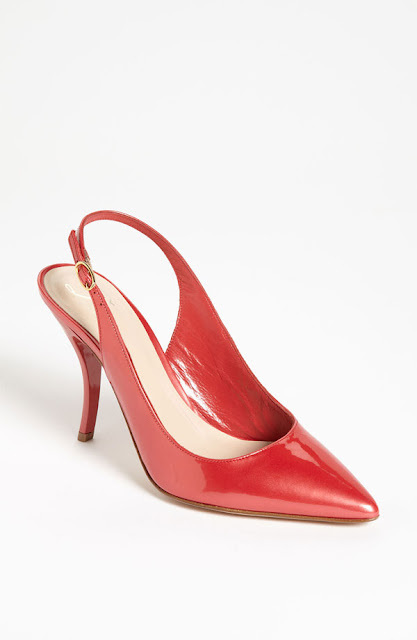 Prabal Gurung's Apple Red pump at an attractive 39.99. 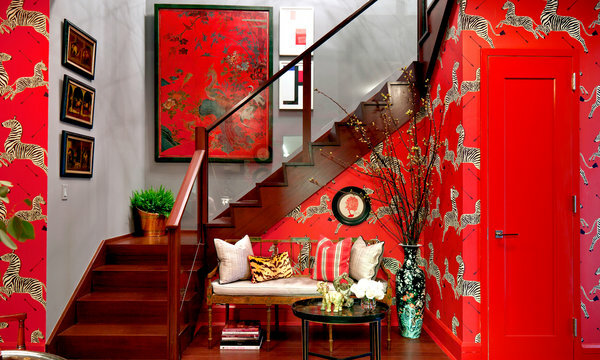 Remember this stellar foyer from my post on the 2012 Kips Bay Show House? Design by Bryant Keller for the 2012 Kips Bay Show House. Photo by Trevor Tondro for the NY Times. Scalamandre's Zebra was designed in the 1940s. It is as popular today as it was more than half a century ago. 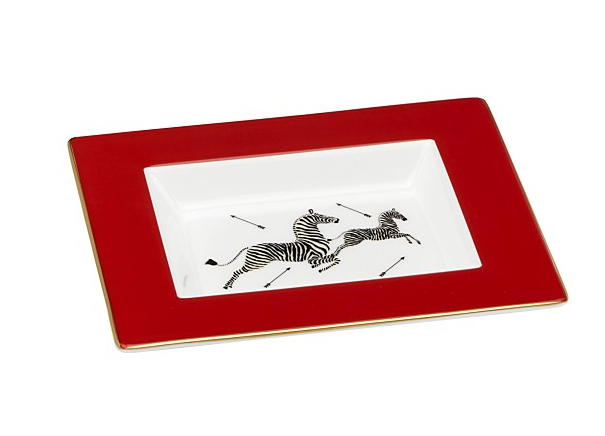 This smallish plate is a tasteful little splash of red for your desk, coffee or side table. especially if you rent or can't commit to wallpaper or red paint. and $50 is easy on the pocketbook. Scalamandre by Lenox at Bloomingdales. Maybe my favorite red today. 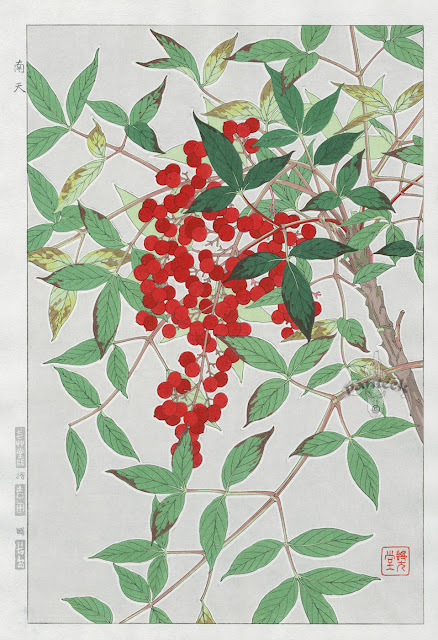 A Japanese botanical woodblock print in the Shin Hanga style by Shodo Kawarazaki. the restrained elegance of traditional Japanese botanicals. And a good value too when compared to European and traditional Japanese botanicals. 15.5"x11" on chain-lined rice paper. I love everything about the very stylish and red, red, red Muse Cafe at the Anchorage Museum. I can't think of a better venue for a Valentine's Day lunch, dinner, or maybe cocktails and appetizers. Relax in authentic Knoll chairs while viewing original art hanging in the banquette bays. don't miss the museum's Smithsonian Arctic Studies exhibit. The Muse is a pleasant respite after all that looking. Photo by Linda Pakravan. Furniture by Knoll. that your guy will actually watch with you. The Quiet Man recently released on Blu-Ray. 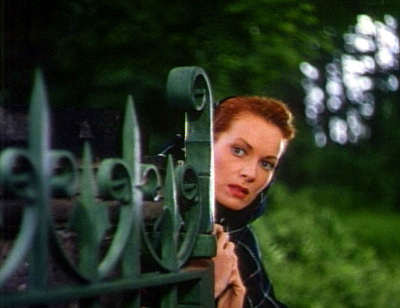 Maureen O'Hara as the Irish goddess in John Ford's 1954 classic. Set and filmed in Ireland -- with John Wayne. It's not a western. Really. See all my red loves on my pinterest board. This post was entirely unsponsored. and if you'd like help designing with red, or any other color, email me! (Patty again) The red foyer designed by Bryant Keller is really cool...i love that kind of red, with a slight nudge towards the orange side... the red door and red baseboard look fabulous. Tiger pillow catches my eye. Also, the Robert Knoll chairs in Muse restaurant photo...I fell in love with them a couple years ago. Cool looking AND comfortable. I would have them in my house. Maybe not red, but who knows. I've been mad for red for decades! My favorite, Michelle's dress followed by the Bliss pumps! glad you stopped by! I love those Bliss pumps too.